Most of the major motion picture studios have fled Hollywood for spots like Burbank or Culver City. There is only one big name movie studio still actually located in Hollywood: the huge Paramount Studios. It also happens to be the longest continually operating studio in Hollywood. And Paramount is also one of the few studios that admit the public on regular guided tours of the studio's back lot. Over the years, its sprawling back lot grew and absorbed what used to be the adjacent RKO Studios. The list of landmark motion pictures filmed by Paramount Pictures itself reads like a virtual history of Hollywood, beginning with classic silent films such as "The Sheik" with Rudolph Valentino (1921), and including the first movie to ever win an Academy Award for Best Picture, 1927's "Wings." Paramount was the home of such early superstars as Mae West, W.C. Fields, and Mary Pickford, as well as directors Cecil B. Demille and D.W. Griffith. In Hollywood's Golden Age, Paramount's stars included Clara Bow, Gary Cooper, William Powell, Claudette Colbert, Alan Ladd, and Marlene Dietrich. The studio made "Going My Way" (1944) with Bing Crosby and "Sunset Blvd." (1950) with Gloria Swanson and William Holden. Alfred Hitchcock shot some of his best films for Paramount: "Psycho" (1960), "Rear Window" (1954), & "Vertigo" (1958); and the Marx Brothers gave the studio some of their best comedies, including "Coconuts" (1929) & "Duck Soup" (1933). Danny Kaye made "The Court Jester" here in 1956. "White Christmas" (1954) was shot at Paramount, as well as "The Greatest Show on Earth" (1952), "The Ten Commandments" (1956), "Breakfast at Tiffany's" (1961), "True Grit" (1969), "Love Story" (1970), "The Godfather" (1972), "Chinatown" (1974), seventeen Dean Martin & Jerry Lewis comedies,and all of those Bob Hope & Bing Crosby "Road Pictures" with Dorothy Lamour (1940-1962). Elvis Presley made many of his movies here, including "Blue Hawaii" and "Girls, Girls, Girls." RKO Studios was once located at the southwest corner of the Paramount lot (you can still see their giant globe there today), but it was eventually absorbed into the Paramount lot. RKO was a major studio in its own right; it once owned the Culver Studios as well. Begun by Joseph P. Kennedy, the studio produced countless hits, including the classic "It's a Wonderful Life," nine Fred Astaire/ Ginger Rogers musicals, the original "King Kong," "Bringing Up Baby" (with Cary Grant and Katharine Hepburn), Hitchcock's "Notorious," and what is perhaps the most acclaimed movie of all time, Orson Welles' masterpiece, "Citizen Kane." But the decline of RKO began in 1948 when it was bought out by eccentric tycoon Howard Hughes, who eventually sold it to a tire company. It was soon purchased by Lucille Ball & Desi Arnaz in 1957, who made it part of their "Desilu Studios." Eventually, the RKO/Desilu property was swallowed up by its massive neighbor, Paramount Studios, and the old lot is now included in the Paramount tour. In 1994, the entire studio was bought by Viacom for $10 billion. In 1999, Viacom bought the CBS television network, in the largest media merger in history. And in 2002, Viacom bought the nearby KCAL studios. In later years, Paramount had major hits with "Saturday Night Fever" (1977), "Heaven Can Wait" (1978), "Grease" (1978), "Reds" (1981), "Flashdance" (1983), "Fatal Attraction" (1987), "The Untouchables" (1987), "Coming to America" and "The Accused" (1988). 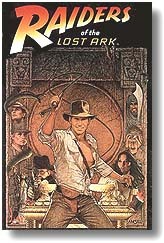 The studio has also had good luck with sequels, issuing the series of extremely popular "Star Trek" movies (starting in 1979), as well as the "Raiders of the Lost Ark / Indiana Jones" adventures, "The Bad News Bears" comedies, the satirical "Airplane!" flicks, plus the "Beverly Hills Cop," "Naked Gun," and "48 Hours" films, and the seemingly endless "Friday the 13th" horror series. Paramount produced vintage TV series as well, such as all five of the "Star Trek" series (TOS, TNG, DS9, Voyager & Enterprise), the original "The Untouchables" (with Robert Stack as Elliot Ness), "The Brady Bunch," "Happy Days," "Mission: Impossible," "Taxi," "Cheers," "Family Ties", "The Mod Squad" and "Mork & Mindy" (with Robin Williams). More recent TV shows filmed on the Paramount lot include "Glee", "Community", "Happy Endings", "Numb3rs", "Medium," "Everybody Hates Chris," "Dr. Phil," "Charmed," "Girlfriends," "One on One," "Reba," "The Parkers," "7th Heaven," "Frasier," and "JAG". Paramount, meanwhile, just keeps cranking out successful movies. Recent releases include the two new "Star Trek" movies, "Captain America", "Thor", "Flight", "Hugo", "Footloose", "Rango", "No Strings Attached", "True Grit", "Dinner for Schmucks", "Super 8", two "Iron Man" movies, three "Transformers", two more "Shrek" films, "Shutter Island", "How to Train Your Dragon", "Kung Fu Panda", "Cloverfield", "Indiana Jones & the Kingdom of the Crystal Skull", "Tropic Thunder", "The Curious Case of Benjamin Button", "Disturbia", "Paranormal Activity", "Into the Wild," "Charlotte's Web," "Mission: Impossible III," "Brokeback Mountain," "War of the Worlds," etc. In 2005, Paramount bought out the DreamWorks studio, which became a unit of Paramount, and as a result has had additional successes with DreamWorks productions such as "Transformers" and "Shrek the Third". Paramount is a huge, sprawling studio, covering an area almost as big as the original Disneyland. At peak season, the studio employees over 5,000 people. Just driving around the outside of the studio walls will give you an indication of the studio's vast size. A tall water tower with the blue Paramount mountain logo still looms over the lot, a throwback to the days when the studio had its own fire department and hospital. Paramount offers a two-hour walking tour of the historic studio, so you can see the inside as well. Seen from the outside, the studio has one notable landmark: if you've seen "Sunset Blvd," you'll be familiar with Paramount Studio's ornate, wrought iron entry gate. Built in 1926, this renowned arched gateway is located at the north end of Bronson Avenue (and is hence called "The Bronson Gate"). It's almost as famous as Paramount's well known logo (of a snow capped mountain with a halo of stars), and it has a unique history. According to the tour guide, the extra iron filigree on top of the gate was added after crazed female fans of Rudolph Valentino overwhelmed security and climbed over the original unfortified gate. Ironically, Charles Bronson (whose name was originally Charles Buchinski) took his new name from this gate. To find this historic archway, from Melrose Avenue, just look north up Bronson Avenue. You'll note that the old gate just east of the new double arch Paramount gates (which were built to resemble the original Bronson arch). Incidentally, Paramount Studios can be rented for private parties and group events of up to 3,000 people. The studio offers event planning, food & beverage facilities, service staff, even use of the New York Street set or their sound stages (based on availability). Getting there: Paramount Studio is bounded by Van Ness Avenue (on the east), Melrose (on the south), Gower Street (on the west), and the Hollywood Cemetery (on Santa Monica Boulevard) to the north. (Ironically, some of Paramount's biggest stars of the past are buried at Hollywood Forever, including Rudolph Valentino) / From Hollywood & Vine, go south on Vine one mile to Santa Monica Boulevard, then go east on Santa Monica Boulevard (one quarter mile) to Gower Street, and turn right (south) on Gower. The studio will be on your left (east) side.